Portland is getting snow tonight. The city is bracing for even more snow Monday—perhaps the most it's seen in two decades. Citizens responded in the traditional manner: They made a run on kale. 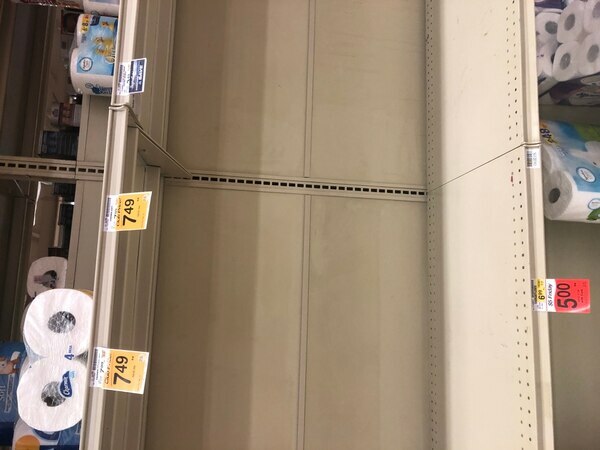 This photo, taken early Friday afternoon by Jesse Friedman at the Hollywood Fred Meyer in Northeast Portland, drew some online mirth. But it was just part of a city-wide grocery rush. By mid-evening, Portlanders had stripped grocery shelves across the city of most fresh vegetables. The same applied to other necessities. Good luck finding bread in Happy Valley. 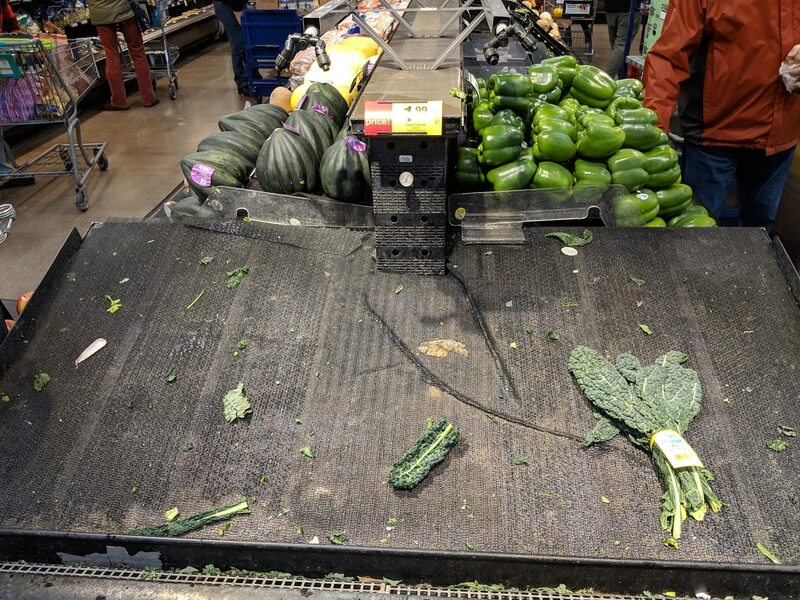 #PDXSnowpocalypse2019 Update: The Cully Albertsons is *almost* out of kale, as well as cilantro, several potato varieties, and bananas. Milk and bread have also been hit hard. As of 8:15, it hasn't even started snowing in central Portland yet. But we Portlanders—a hardy, nervous people—are prepared. We will have toilet paper.